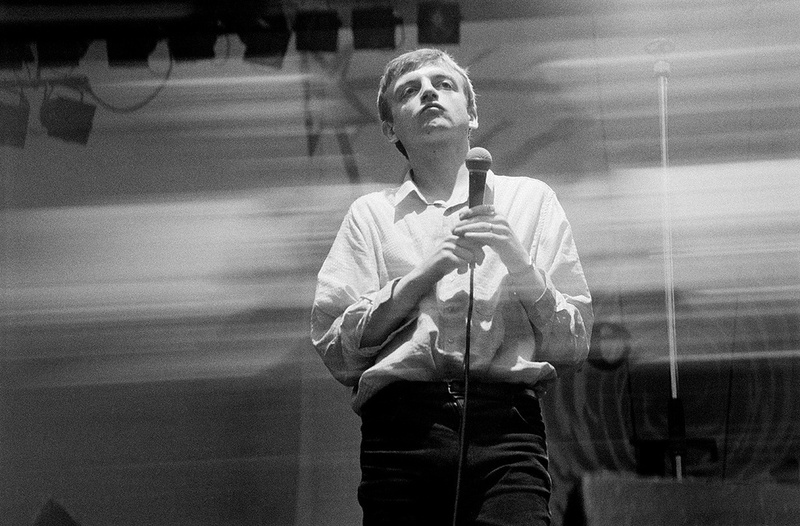 In 1987, the Fall, a band who were 10 albums into their career, producing challenging, hall–of–mirrors post–punk, suddenly made a lurch for the dancefloor. October of that year saw the amorphous Prestwich troupe, fronted by their inimitable and unpredictable ringmaster Mark E Smith, release ‘Hit The North’, a rousing groove–based anthem which is now regarded by many as both their ultimate statement and best single. The beginning of the Fall’s slow creep towards the mainstream, which culminated with ‘Hit The North’, had begun three years earlier in 1984 when, before signing to a new label, Beggars Banquet, Smith had seriously considered quitting music altogether. Then, in 1985, came Londoner Simon Rogers, a multi–instrumentalist who was initially brought in to play bass with the band, before moving to guitar/keyboards and then going on to produce many of the Fall’s records, including ‘Hit The North’. 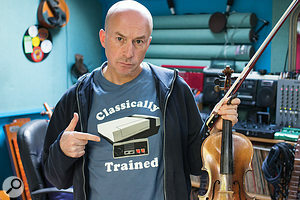 His connection to Mark E Smith was first made when progressive ballet dancer Michael Clark asked Rogers to score an orchestral arrangement of ‘The Classical’, from the Fall’s 1982 album Hex Enduction Hour. In the 2009 book The Fallen: Life In And Out Of Britain’s Most Insane Group, author Dave Simpson’s search for the more than 60 members who have passed through the band since their formation in 1976, he names Simon Rogers as “the least likely musician ever to end up in the Fall”. Having graduated, Rogers joined Ballet Rambert’s Mercury Ensemble as guitarist, which lead in a strange way to his first hit record. When asked by the company to learn a piece by Chilean folk group Inti–Illimani, Mercury Ensemble’s guitar–and–pan–pipes arrangements were to prove so popular with audiences that they went on to secure their own record deal as Incantation, with their 1982 single ‘Cacharpaya (Andes Pumpsa Daesi)’ reaching number 12. From his share of the proceeds, Rogers bought his first home recording setup, centred around a Soundtracs desk and Fostex B16 multitrack. 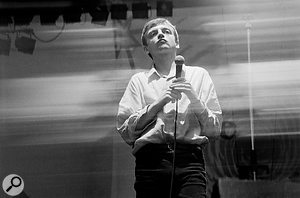 During the mid–’80s, the Fall’s producer was John Leckie, though Simon Rogers’ first production contribution was to appear on 1985’s This Nation’s Saving Grace, with ‘Paintwork’, the creation of which was — in typical Mark E Smith style — characteristically haphazard. Former Fall bassist, Steve Hanley, in his own highly entertaining book about his years in the band, The Big Midweek, said that in terms of making sense of Smith’s methods, Rogers was “perspective personified”. Cover artwork for The Frenz Experiment, Mark E Smith as usual overseeing all.This writer has spoken to John Leckie in the past about his work with the Fall. Similarly, the veteran producer was obviously someone who could deal with Smith’s acute eccentricities. “Mark was crazy,” Leckie remembered, with a laugh. “You’d do all the mixing and he’d take the tapes away home and he’d be very enthusiastic. But then you’d get to the cutting room and he wouldn’t like it. When we were mastering Bend Sinister  and the guy had just cut the acetate, Mark was stomping around saying, ‘That’s not the mixes we had in the studio’. But he’d been listening to a chrome Dolby cassette he’d taken away and played on his little Walkman through a speaker that was distorting, and that was his reference. In the end, a lot of that album was cut from a cassette because that was the quality that Mark wanted. He was actually right though because that’s their sound. The Frenz Experiment was recorded over the month of July 1987 in Abbey Road Studio 2. 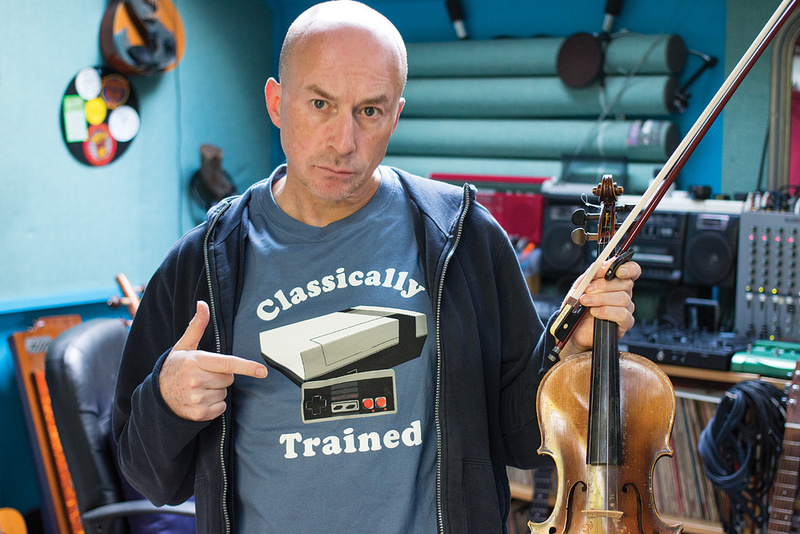 Even as a first–time producer, Simon Rogers insists that he wasn’t intimidated to be working in such a hallowed environment. 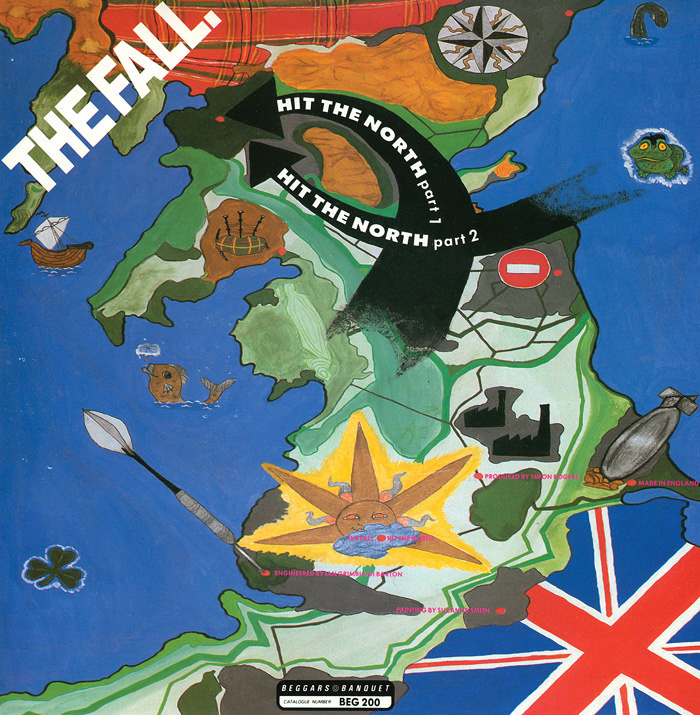 While The Frenz Experiment is a very live–sounding album, ‘Hit The North’ was a far more programmed affair. But in keeping with the spontaneous approach of the Fall, the song had its roots in a test track that Simon Rogers created when he first bought his Sequential Circuits Studio 440 sequencer/sampler. “Mark had a sort of love/hate relationship with machines,” Rogers says. “He liked the idea of them, but he didn’t always like the process that you went through. It was slow and he just didn’t want to be dictated to by them. So he would try and subvert the situation. I’d just got this 440 and literally the first thing I put into it was a bass and a snare just on two pads, a little tiny Indian bell which I’ve still got, and a sax note and a bass note from a Gentle Giant record. Rogers plays SOS a recording of the session where Smith returned to his Hammersmith bedroom studio with the lyrics to ‘Hit The North’ to record an initial demo. It makes for fascinating listening. While Smith is often regarded as someone who throws his ideas down, here he can be heard asking for the track to be sped up as he vocally riffs over the top of it. It’s sonic proof that the apparently unhinged band leader knows exactly what he’s after, even to the point where he insists that the programmed drums, which he thought were off–putting, be muted, in favour of drummer Simon Wolstencroft tapping on a table. “It’s not moving for me, that tune, at the moment,” Smith can be heard to say. “It’s cause it doesn’t have the machine drums in it,” Rogers responds. “Are you sure that’s what it is?” Smith replies, a touch challengingly. Even when mastering The Frenz Experiment with Ian Cooper at The Townhouse, Mark E Smith would still want to experiment randomly with the process. Simon Rogers was to go on to produce two more albums for the Fall, Code: Selfish in 1992 and The Infotainment Scan in 1993, before he and Smith had an irreparable bust–up in a studio in Manchester. 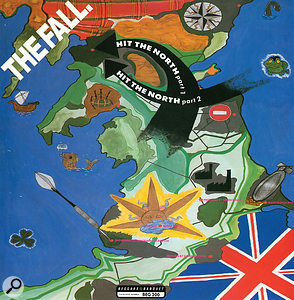 As far as ‘Hit The North’ was concerned, although it is now considered a classic track for the Fall, upon its release, it actually failed to chart, struggling to number 57. As ever, Mark E Smith had a theory about this. Not that it matters much to him, of course, being just another colourful incident in the weird and wonderful world of the Fall.